Augustus was was the founder of the Roman Principate and is considered the first Roman emperor, controlling the Roman Empire from 27 BC until his death in AD 14. He was born Gaius Octavius, and when his maternal great-uncle Julius Caesar was assassinated in 44 BC, Octavius was named as his adopted son and heir. Augustus restored the outward façade of the free Republic. In reality, he held autocratic power over the Republic as a military dictator. His reign initiated the Pax Romana, and the Roman world was largely free from large-scale conflict for more than two centuries, despite continuous wars of imperial expansion. 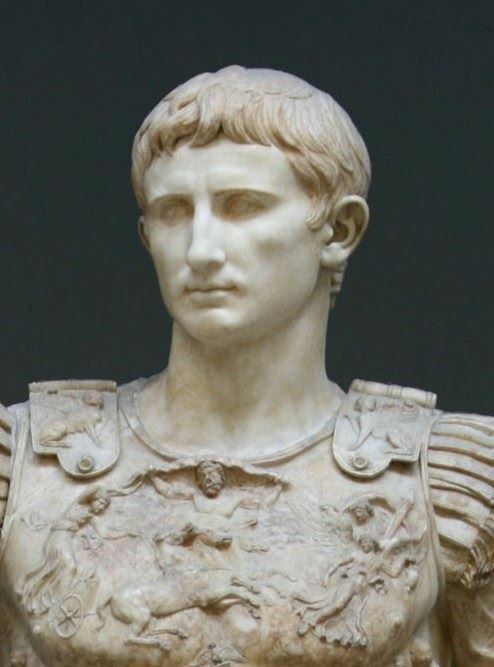 Augustus died in AD 14 at the age of 75, probably from natural causes. (9) Augustus 27 B.C.-14 A.D.